Almost everyone loves music but folks often overlook the everyday financial challenges that independent artists, record companies and record stores deal with to keep it playing. Share Shirts were created by Iris Distribution to raise awareness of the importance of buying music from independent artists. 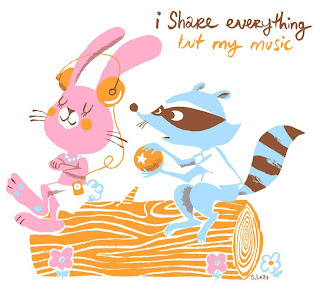 Made especially for the wee progeny of indie music lovers, Share Shirts are available in sizes from newborn onesies to youth medium and feature an adorable illustration by S. Britt. 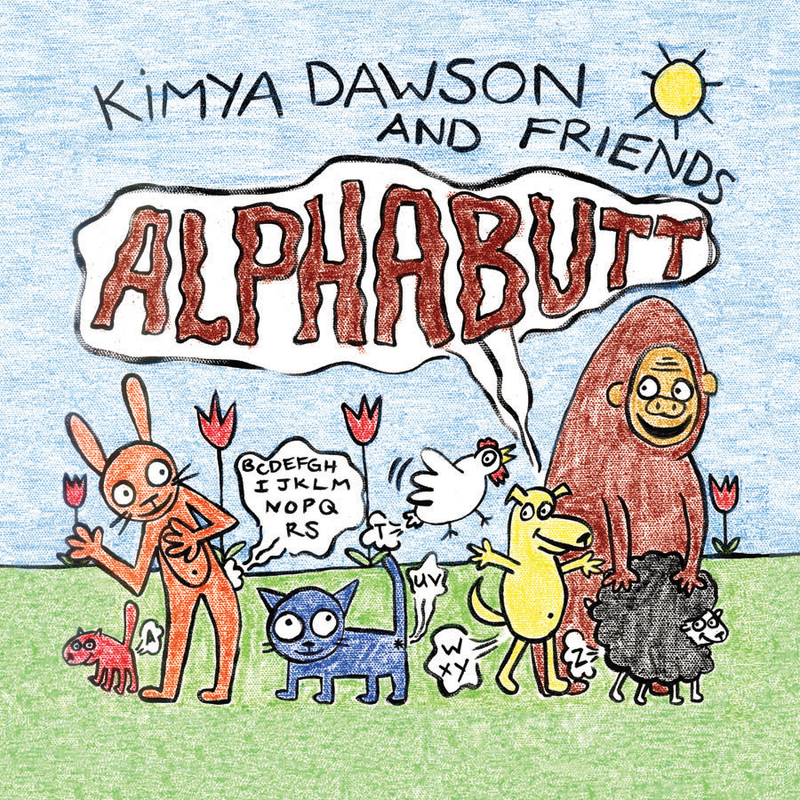 Tees are available individually or bundled with one or both of two digital downloads: Kimya Dawson's Alphabutt and Planet Music's Kids Songs. Individual Share Shirts are $14.99, bundles are $22.99 for shirt + 1 album and $28.99 for shirt + both albums. 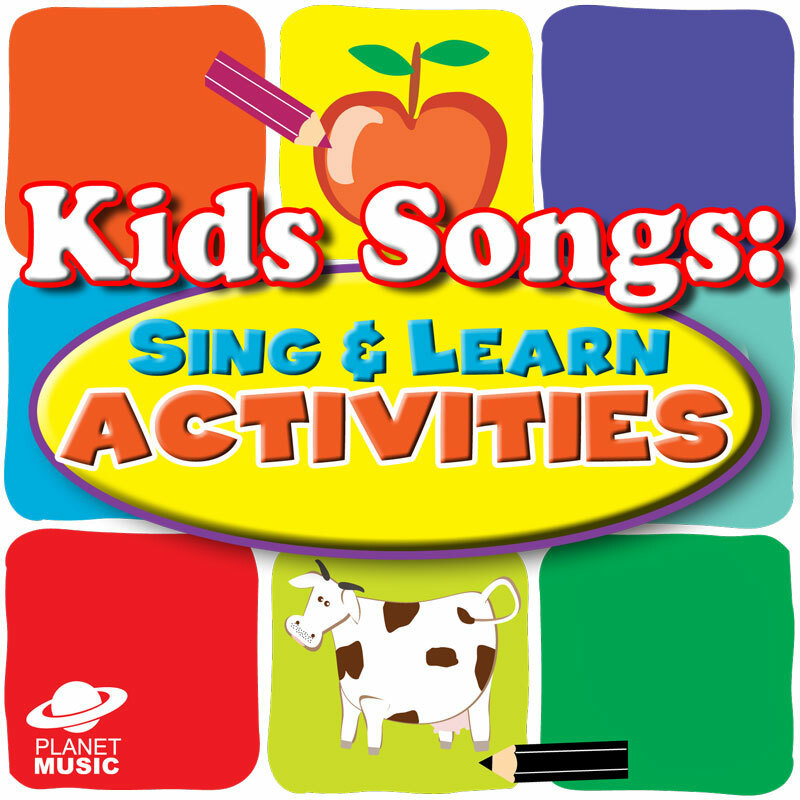 Half of the proceeds go to the American Association of Independent Music (A2IM). Having managed indie bands, put out indie singles and worked in indie record stores, this is something that I think is pretty cool. 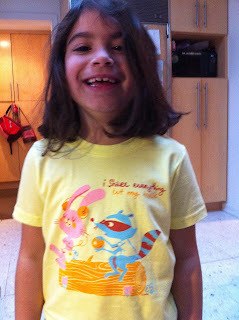 Roo loves her Share Shirt… I wish they came in my size! Like Share Shirts on Facebook. In accordance to the FTC Guidelines and WOMMA Code of Ethics, I am disclosing that we received a tee to facilitate this review but all opinions are strictly my own.